Violins and fiddles, by themselves, may be difficult to distinguish physically. The same instrument can be played and referred to as either a “violin” or a “fiddle”. Basically they are the same instrument. At one time the terms were used interchangeably in all contexts. The “difference” nowadays is the player’s intent, the instrument’s purpose and the style of music being played. 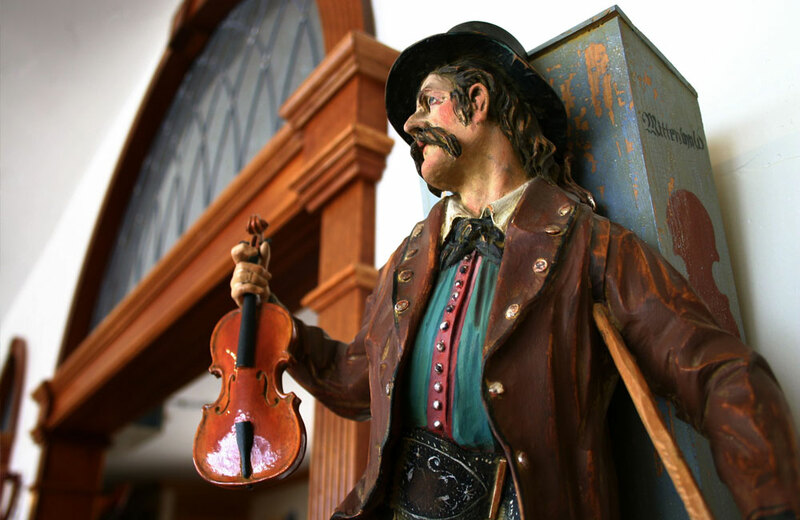 A fiddler typically plays folk-style music, while a violinist typically plays music from classical traditions. The physical differences may be minor and changeable, but there are definite differences. Violinists prefer synthetic string cores while fiddlers prefer steel cores for their brighter, clearer tonal quality. Steel cores often require fine tuners in addition to the tuning pegs that appear at the end of the stringed instrument. Some fiddlers may have a flatter bridge, to allow three or four strings to be played at once. Recently, some violinmakers have begun adding a fifth string in C on the bass end of fiddles. These differences are in the “set up,” meaning that the basic structure of the instrument is the same, but variations occur in the strings, bridge, rests, tuners and pick-ups. Even still, the stringed instruments can be played as violins or fiddles depending on the music and the player. Often, a fiddle is played while held against the chest rather than under the chin whereas a violin is always played under the chin. This allows a fiddle player to more easily sing while playing. A violinist often interprets a composer’s score with exacting accuracy, emphasizing individual notes. Fiddles tend to be played with wildly divergent interpretations on an original piece, the fiddler taking liberties towards developing his personal style. Violins are often played in large numbers or with related instruments, in chamber, symphonic and orchestral settings, to create a wall of sound. When a violinist does perform a solo recital, it is almost always accompanied by a piano. Very little Western classical music has been composed for unaccompanied violin. The fiddle stands alone or accompanies one or a few dissimilar instruments like banjos, mandolins or dulcimers. Fiddles are meant for the traditions of Cajun music, Irish folk songs, bluegrass and klezmer. 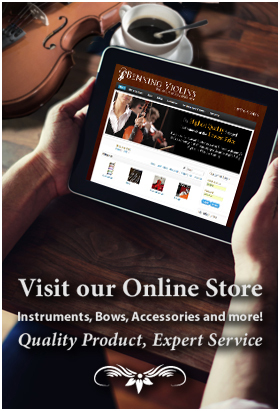 Violins are mainly used for Western classical, Indian classical and jazz.